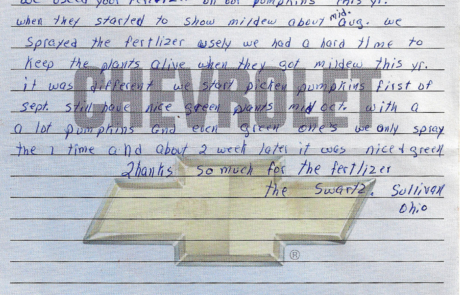 “We used your fertilizer on our pumpkins this year. When they started to show mildew, about mid-August, we sprayed the fertilizer. 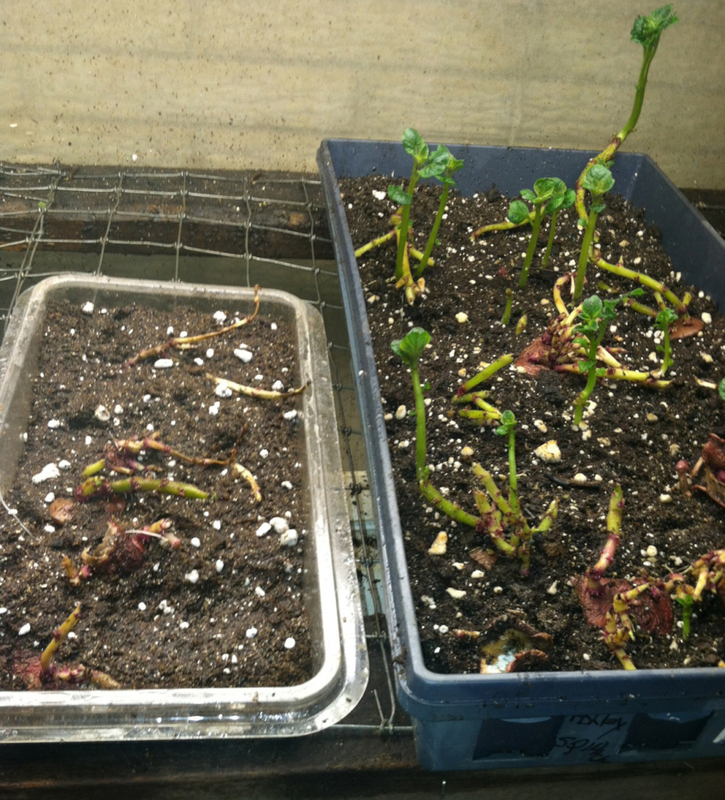 Usually, we had a hard time to keep the plants alive when they got mildew. This year, it was different. We start picking pumpkins the first of September. We still have nice, green plants mid-October with a lot of pumpkins and even green ones. We only sprayed the one time and about two weeks later, it was nice and green. 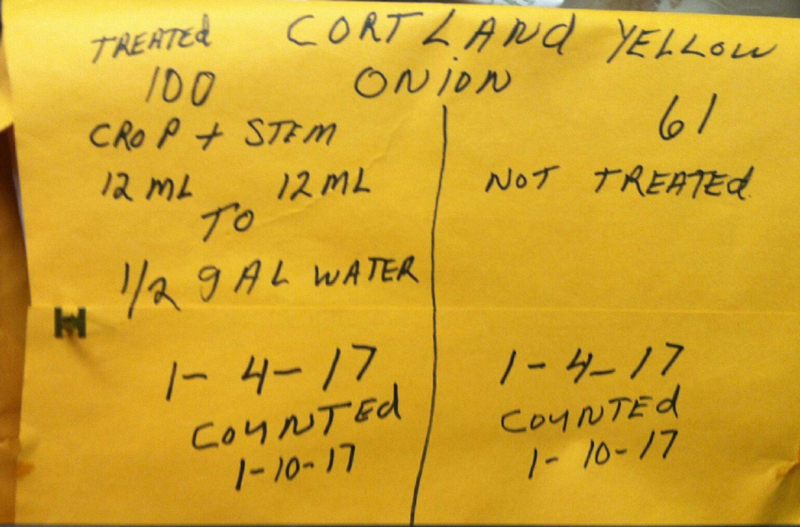 Grower started with 200 2-year-old organic onion seeds. 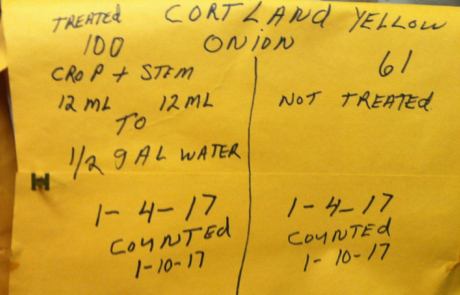 He selected 100 seeds and treated them, adding 12ml of Ergro Crop and 12ml of Ergro Stim to 1/2 gallon of water. The other 100 seeds were not treated. 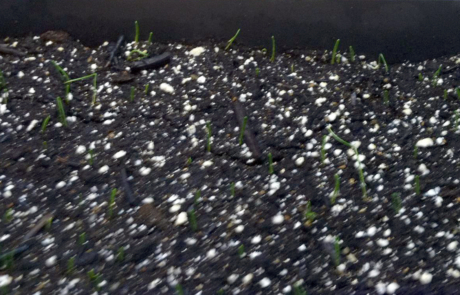 – Treated seeds started to germinate in 2 days with all 100 seeds germinated. 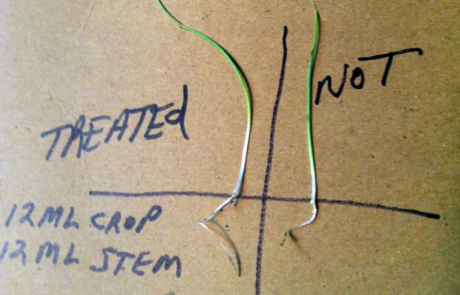 – Untreated seeds germinated in 7 days with only 61 seeds germinated. 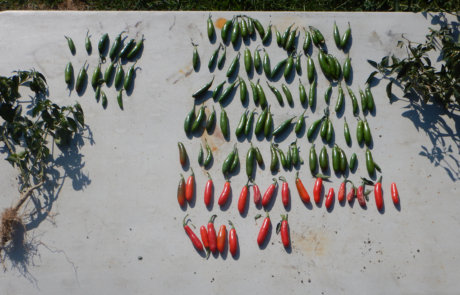 Grower planted a 250’ row of chili peppers, treating the first 20 plants with organic fish emulsion fertilizer. 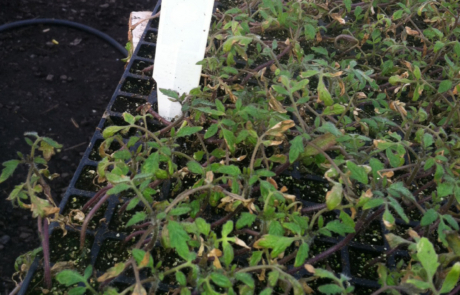 The next 20 plants were treated with Ergo Products. He top-dressed each plant with Ergro Hydro Set and foliar sprayed each plant with Ergro Crop and Ergro Stim, repeating this process every 20 plants until he reached the end of the 250 row. He then sprayed the plants every 4 weeks. The plants were sprayed every four weeks, using the same emulsion or Ergro products, with all plants sprayed on the same days. These photos were taken October 14, 2016. 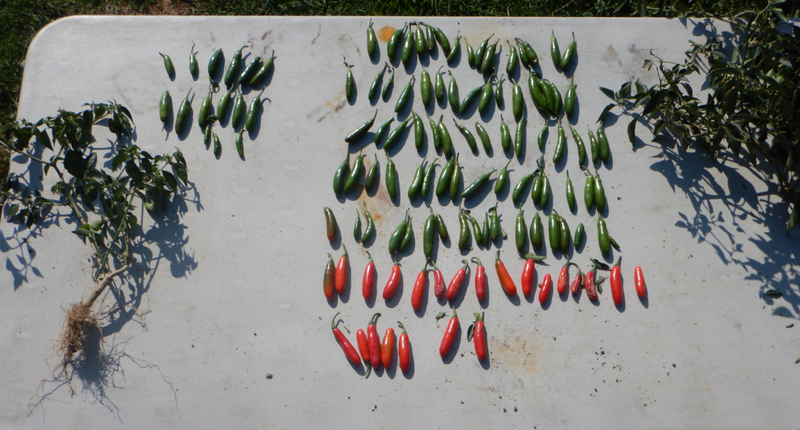 This was the fourth picking of peppers for each plant. 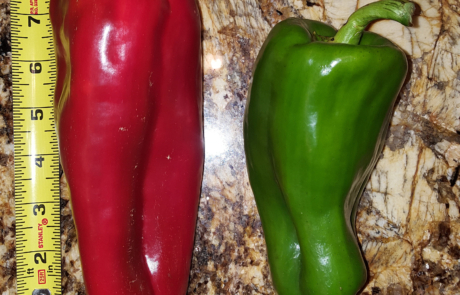 As you can see, the fish emulsion-treated plant had 16 peppers, while the the plant treated with Ergro products had 96 peppers — an increase of 600%. 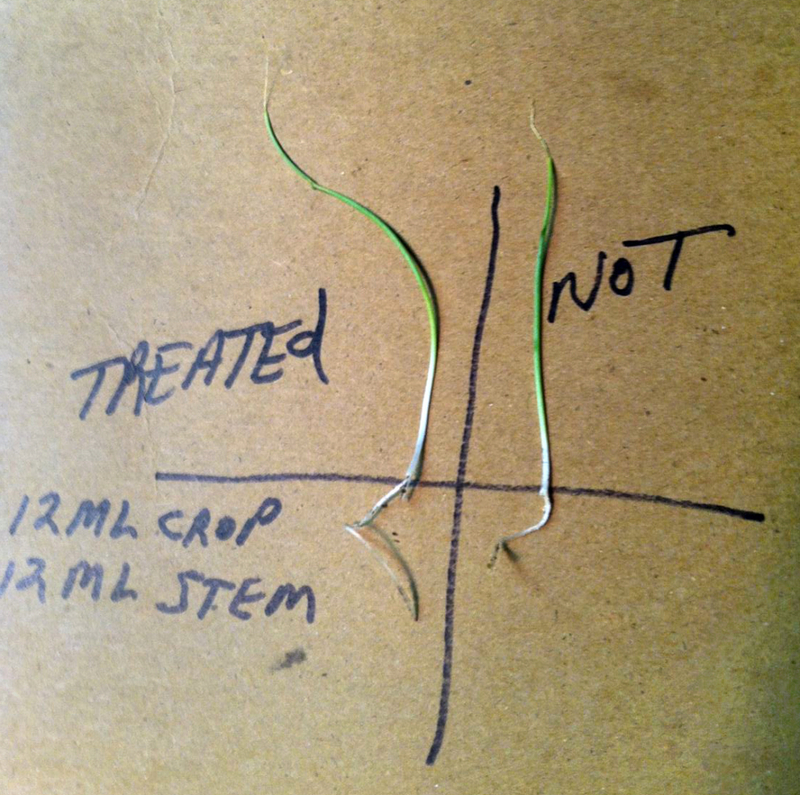 Plant stalks were measured: the fish emulsion-treated plant had a 1mm diameter, while the Ergro products-treated plant had a stalk measuring 5mm in diameter. Side note: this field went without rain during a 33-day drought. 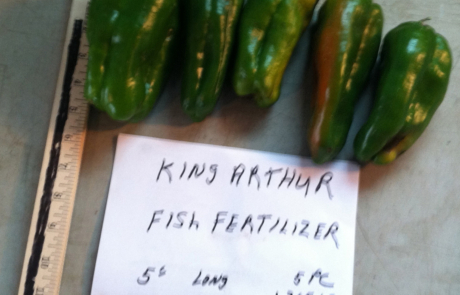 Grower planted King Arthur peppers in a 250′ row, treating the first 20 peppers with his normal fish emulsion fertilizer. 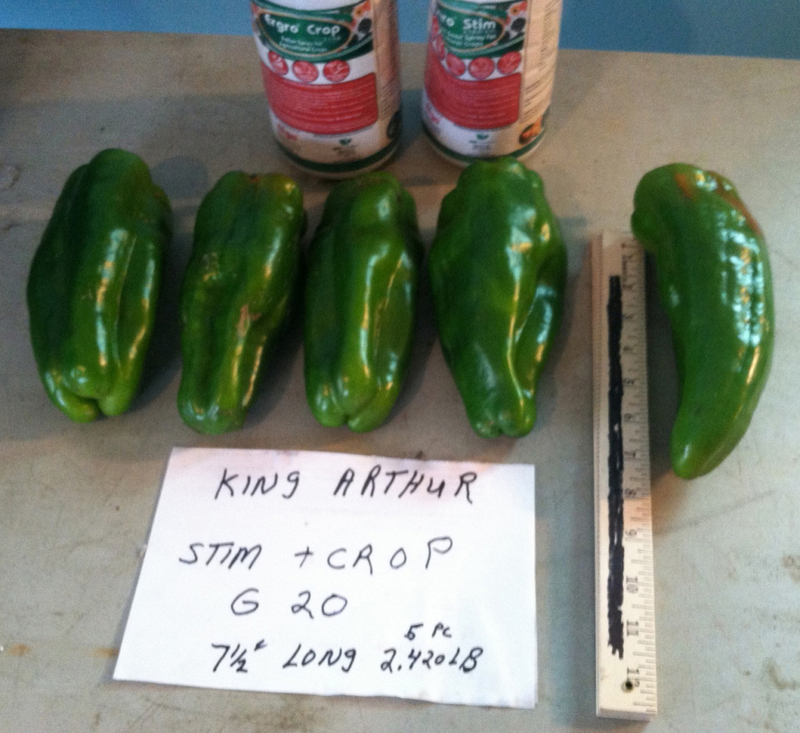 He treated the next 20 peppers with Ergro Products, top-dressing with Ergro Set 20G and foliar sprayed with Ergro Crop and Ergro Stim, repeated this treatment for both groups of peppers every 4 weeks. 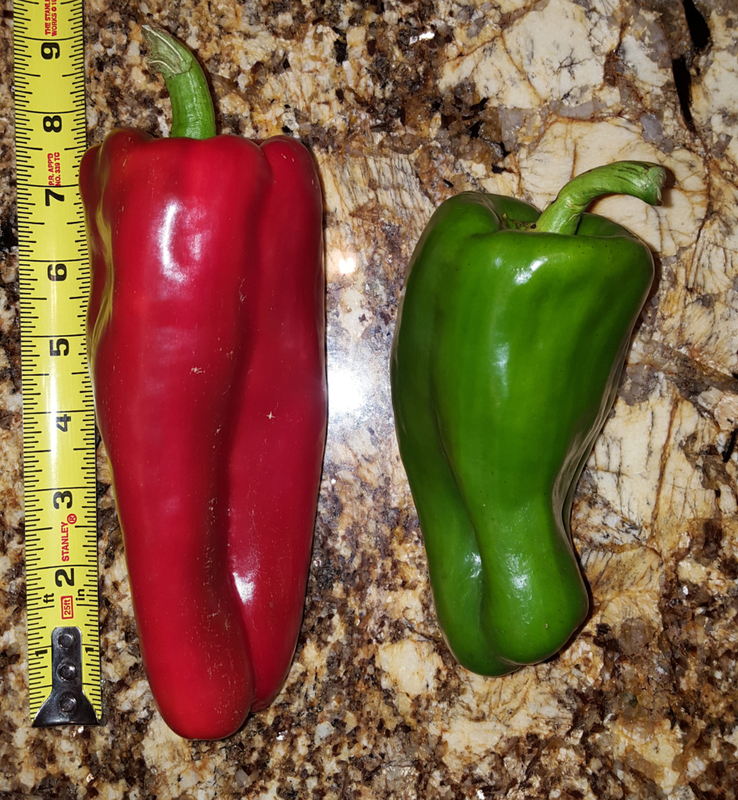 Grower picked 5 peppers to compare results. 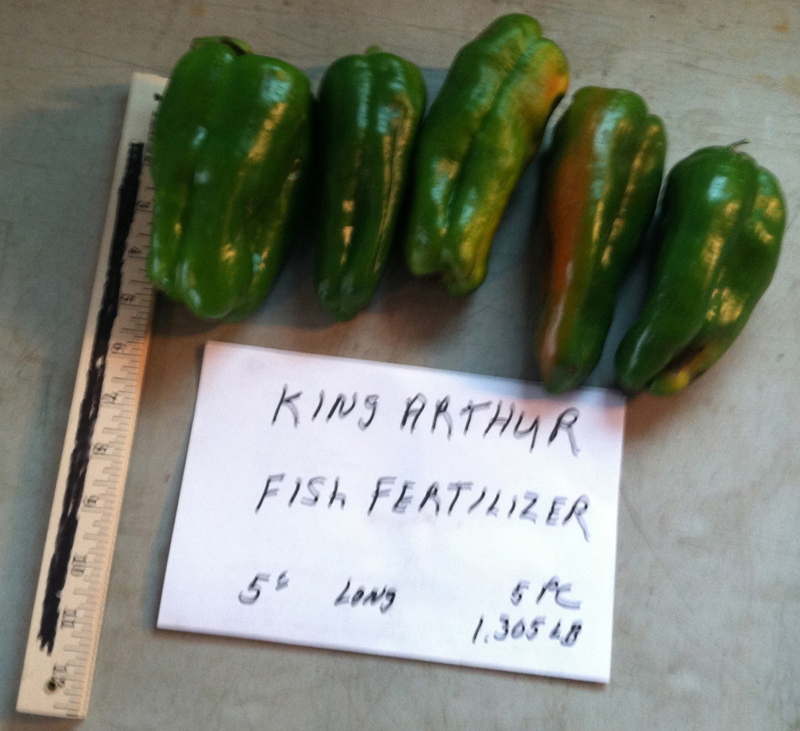 As you can see in the photos, the fish emulsion-treated peppers where 5″ tall with a combined weight of 1.3 lbs. 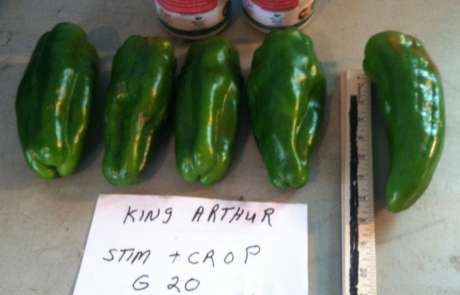 The peppers treated with Ergro Products were 7.5″ tall with a combined weight of 2.5 lbs. 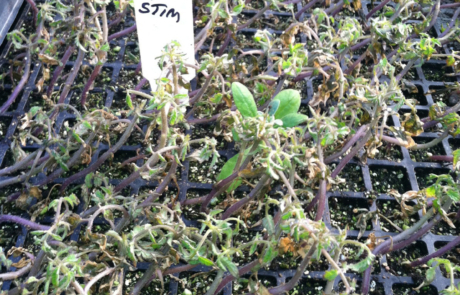 In January, 2015, grower took potato starts and planted them in his basement in starter trays, spraying the one tray with the Ergro Stim (12 ml in 32 oz. of water). The second tray was not treated. The photo was taken seven days later. 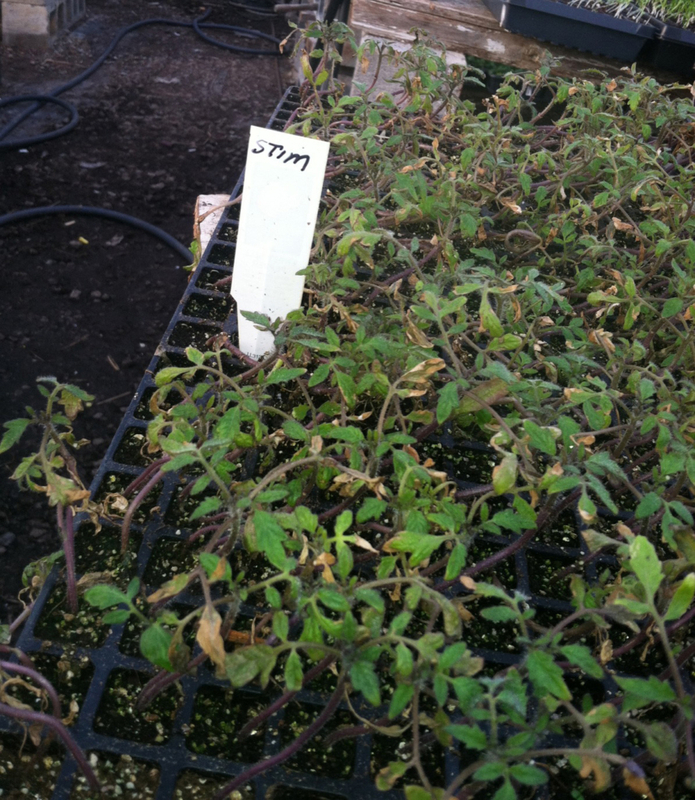 Grower picked up diseased tomato plants in flats. 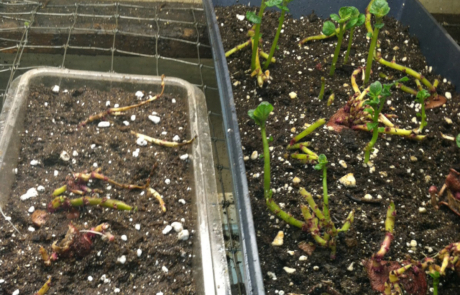 His local supplier was preparing to throw them away and grower wanted to test Ergro’s products to see how they might perform. 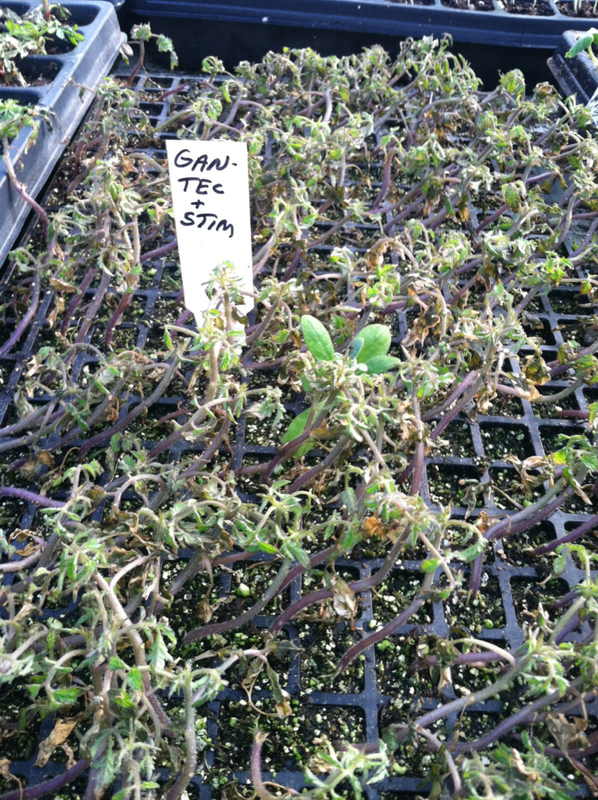 Grower treated them with the Ergro Stim on 2/10/16. One week later, you can see the difference the treatment made. 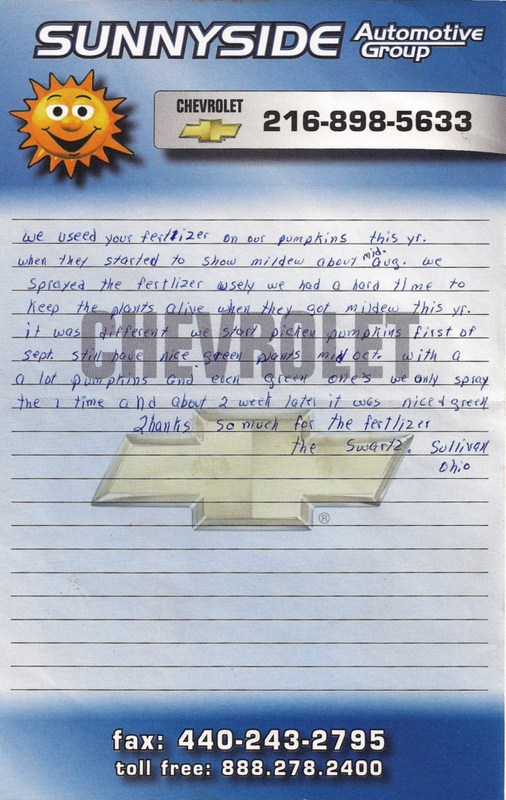 Santos Gregorio Cruz Cruz, Distributor, El Salvador, C.A.